Mr. Esposito has been appraising and selling professional practices as a licensed broker, as well as providing practice management consulting services, in the western United States since 2003. Mr. Esposito is the managing partner at ADS Precise Consultants and also is a member of the nationwide dental brokering and consulting organization, American Dental Sales, Inc. (ADS), where he has served as Treasurer, Vice President, and President. Both companies are full service brokering and consulting firms specializing in practice sales, appraisals and practice transition services for professional practices. Since 2003, Mr. Esposito has been instrumental in appraising and/or selling hundreds of professional practices. He has appraised and/or sold dental practices in Arizona, Colorado, Kansas, Nebraska, Nevada, New Mexico, New York, Utah, and Wyoming. Mr. Esposito is one of the few nationwide brokers with Certified Valuation Analyst (CVA) credentials, including membership in The Institute of Business Appraisers. He is also affiliated with ADS, a national network of dental practice appraisers and brokers, Practice Valuation Study Group, Colorado Association of Realtors and University of Colorado Graduate School of Business Alumni Association. Mr. Esposito has lectured at Metro Denver Dental Society Seminars, University of Colorado School of Dentistry and University of Nevada School of Dentistry on multiple practice transition topics. Mr. Esposito has been serving the dental community for the majority of his career. 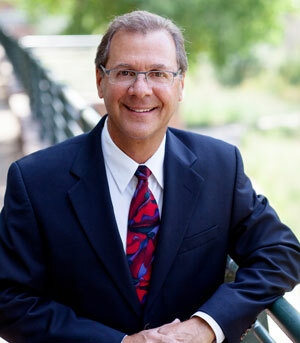 After completing his MBA in finance at the University of Colorado in 1988, he managed a large dental group in Colorado. He then accepted a position with a nationwide dental software firm in 1992. His responsibilities included marketing and management of this software for dentists from California to Kansas. Since 2003 he has been a partner at ADS Precise.